No matter what type of mum you are – expectant, new, long-suffering, stay-at-home, working – you will need to recharge your batteries every now and again, and getting away from it all is the best way to do it. Whether you opt for a romantic getaway with your partner, or a girly weekend with some friends, two or three nights of blissful pampering will do you the world of good. Many parents fall in to the same old trap of going absolutely nowhere without the kids. But you are still your own person and you need adult time. Even if you have the best-behaved angels in the world, there is absolutely no substitute for spending a weekend alone with your other half, rekindling a little of the old romance. After all, it can be difficult to feel that old attraction when you are picking lumps of baby food (or worse!) out of your hair. And the same is also true for your girlfriends – in fact, they can be even harder to see without the kids in tow. A weekend away with the girls will do wonders for your morale, help you relax and remember what fun you had before pregnancy and babies. Whether you decide on a romantic getaway with your other half, a pampering break with your friends, or even a solo trip for some relaxing ‘me-time’, the key to having a good time is not to worry about the kids at home. No matter what you think, they will survive without you. So where to go? Here’s some pampering getaways and escapes to inspire you. Let’s face it, once the parents have been roped in to minding the kids for the weekend or the childminder is booked, the tempation to go on a gin-soaked weekend is high. Chances have it though, that what you actually need is some gentle relaxation, support and self-care. Escapada Retreats provide wonderful getaway experiences filled with holistic treatments, nourishing nutrition, and mindful movement in wonderful locations around Europe. 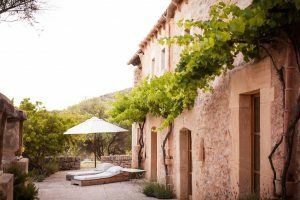 They have two wonderful retreats for women in Mallorca in May that would make ideal solo or girlfriend trips. The Women’s Health Retreat (10th to 17th May) provides an empowering space where the expert Escapada team will look closely at your health from a natural healing perspective. Regardless of what issues you might have, be it fertility, PMS, insomnia and so on, the retreat aims to equip you with the knowledge and skills to further develop better lifestyle choices when you go back to your daily life. The Mummy’s Only Health Retreat (18th to 21st May) involves four days of ultimate pampering and TLC, allowing you time to switch off and focus on you, your health, and wellness concerns and worries. Like we said, motherhood is wonderful, but you can forget who you used to be before you became ‘mum’. One of the best ways to remember is to spend time away with your girlfriends. If your children are still very young and it is proving difficult to find a weekend when everyone is free, compromise by booking one night away. The Beacon Hotel is the place to stay in Dublin if you want to get away from it all … but not too far! Located in Sandyford, but a LUAS ride from the delights of the award-winning Dundrum Town Centre and Grafton Street, The Beacon is seriously glamorous, a microcosm of London in Dublin’s heartland. Think billowing white curtains, funky white seating and theatrical touches such as four poster bed loungers and low-hanging chandeliers. 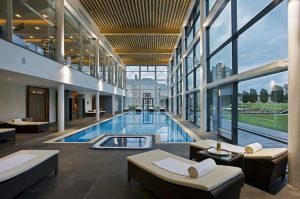 The Shopping Break Package (from €100 per person sharing) includes bed and breakfast, a €20 Dundrum Town Centre voucher, a complimentary cocktail, and free parking. If you are looking for some pampering and relaxation before midnight feeds and sleep deprivation become the norm, a ‘babymoon’ is the perfect getaway! A babymoon is a pre-baby holiday, a treat for the two of you, a ‘last hurrah’ trip for parents-to-be that provides the perfect setting in which to relax as a couple before entering parenthood for the first time, or which equally gives practiced parents some special time together. 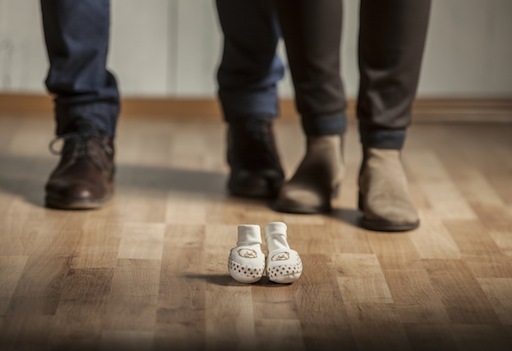 Recognising that all parents-to-be could use a romantic getaway before the big arrival, the five star Castlemartyr Resort in East Cork has a special babymoon package designed to help you recharge, rejuvenate and reconnect with your partner before the big day arrives. The Babymoon package includes breakfast for two, dinner for two one evening during your stay in the Bell Tower Restaurant, a 30 minute spa treatment each, together with complimentary access to the relaxation suites, water lounge and health club. 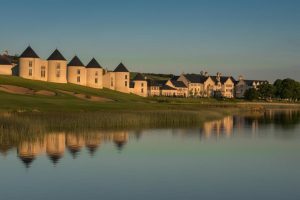 Those on the hunt for a fun weekend away with the kids, can enjoy an Easter staycation like no other in the picturesque Fermanagh Lakelands at the wonderfully family-friendly Lough Erne Resort. You and the family can set up camp in one of the five-star resort’s two bedroom lodges and enjoy the best of both worlds – the luxury of the resort and its setting amidst a backdrop of the Lough but with all the comfort of home. A midweek two night family stay (two adults and two children under 12) is £325 per night and includes breakfast and a three course dinner in The Loughside Bar and Grill on the evening of your choice. Kids, big and small, are encouraged to make use of the complimentary wellingtons available at the resort and explore the stunning surroundings of Lough Erne on the famous Collop Walk or take it easy in a complimentary hour-long cruise down the Lough in the region’s famous Water Taxis. Back at the Resort, families can enjoy access to the infinity pool, jacuzzi and sauna at The Thai Spa.